Nat King Cole gave us the lyrics of “chestnuts roasting on an open fire” and “tiny tots with their eyes aglow.” From that same 1940s era is song after song about the “most wonderful time of the year” but, I’ll admit, it’s a “blue Christmas” for me. The pressure to feel happy and joyful makes me a Grinch. I’m sad there are people who are not here who ought to be, and the ghost of Christmases past haunt empty chairs and old photographs. I don’t want celebration songs; give me a few funeral dirges. The hymns “O Come Emmanuel” and “O Holy Night” feel more appropriate than joyful music during this season. These hymns deal with the reality of chains, sin, error, and this “weary world” mourning “in lonely exile.” For me, they invoke the spirit of Christmas that looks for the “thrill of hope.” They bring to mind the words of the Prophet Isaiah: “The people who walked in darkness have seen a great light.” I feel that darkness. The Great Light of the hope of new life, reunion in heaven, and peace on earth is like a guiding star, like light at the end of a tunnel, like the joy others feel that I may someday feel again in this season. Until then, I live it “if only in my dreams” and watch for the light, like our ancestors did of yore. Sing to the Lord with thanksgiving; make melody to our God on the lyre. God covers the heavens with clouds, prepares rain for the earth, makes grass grow on the hills. God gives to the animals their food, and to the young ravens when they cry. God’s delight is not in the strength of the horse, nor is God’s pleasure in the speed of a runner; but the Lord takes pleasure in those who revere God, in those who hope in God’s steadfast love… God fills you with the finest of wheat. God sends out God’s command to the earth; God’s word runs swiftly. God gives snow like wool; God scatters frost like ashes. God hurls down hail like crumbs— who can stand before God’s cold? God sends out God’s word, and melts them; God makes God’s wind blow, and the waters flow. In the middle of winter, when there is frost scattered like ashes, and snow like a heavy wool blanket; in the awful middle of winter when we have sleet and hail that hurl down upon us like hard bread crumbs and the cold is unbearable… I turn to Psalms such as these. Psalms to point out that even in the middle of winter ravens find food, owls gather to start their nests, and deer dig into the snow to find little bits of preserved grass. Even in the middle of winter, God is present. God is providing. God is loving and caring. And when the winter passes, it will come with warm breezes God sends. Then the ice will melt, and the snow will flow into creeks and rivers. Then the land will be covered with new green grass and the sprouts of winter wheat. And we will still be in the presence of God. God is always providing. Always loving. Always caring. I’m still not a fan of winter. I don’t think I ever will be. However, with the Psalms to guide me, I can see how our awesome God is just as present in the cold and the silence as in the joy and new birth of spring. Let us revere – respect and love – our God who is always with us season to season and year to year. Amen. Published in the Towne Crier, Feb 2018, Fairfield County, Ohio. 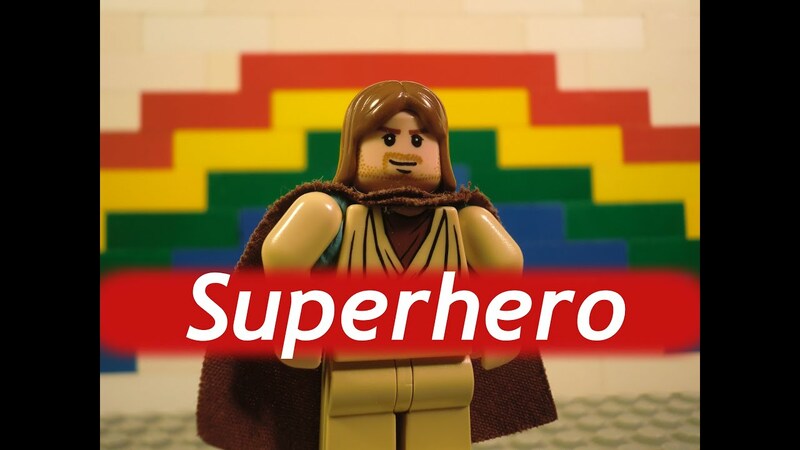 Everyone has superheroes – Batman, Superman, Wonder Woman – Martin Luther King Jr., Gandhi, or Helen Keller. I have always held Mother Teresa as one of my super heroes. One of the great things about superheroes is how they inspire us and give us hope. However, if you’re like me, you tend to place these people on pedestals. They are more amazing than is humanly possible (Clark Kent literally isn’t human.) So when I learn my heroes have faults, I actually take heart and like them more rather than less. It gives me more inspiration and hope because it tells me a person with faults like myself could do these amazing things. For example, Mother Teresa worked tirelessly with the poor of India out of love of Jesus… but she also struggled with faith doubts and questions. Since I sometimes do too, this doesn’t disqualify me from doing amazing work. Indeed, it was out of her spiritual loneliness that Mother Teresa received strength to work with the loneliest people. Passages about Jesus’ humanity – complaining to his mother at the wedding, crying over Lazarus – inspire me too. We are called to have a mind like Christ. How could that be possible for us if Jesus’ mind wasn’t human? We’re called to live our lives in Jesus’ Way. How could we if that way was beyond what’s humanly possible? Therefore, our Savior came as both fully divine, and fully human. Our God took on human flesh, and knew what it is to be human… and then showed us how to live like superheroes.